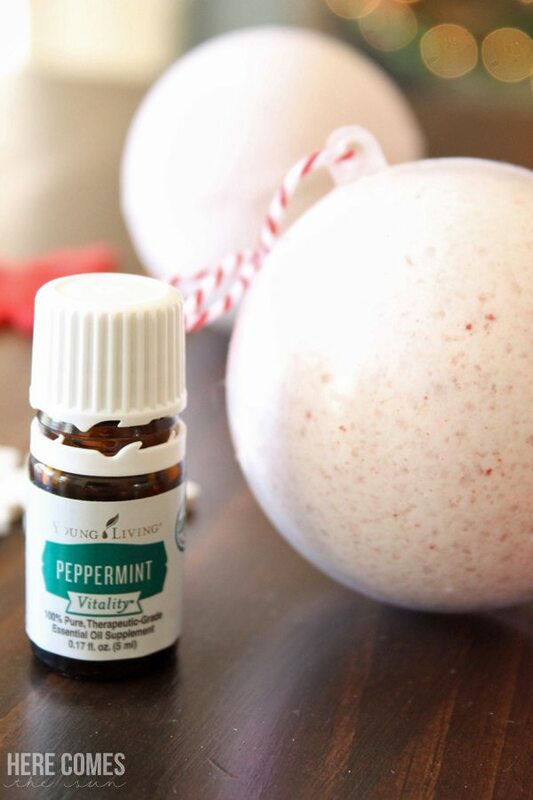 Is there anything better than peppermint at Christmas time? I don’t think so. I’m kind of a peppermint fanatic. I’ve made all sorts of food and gifts with it like sugar scrub, body butter, foot soak and white chocolate peppermint pudding cookies. 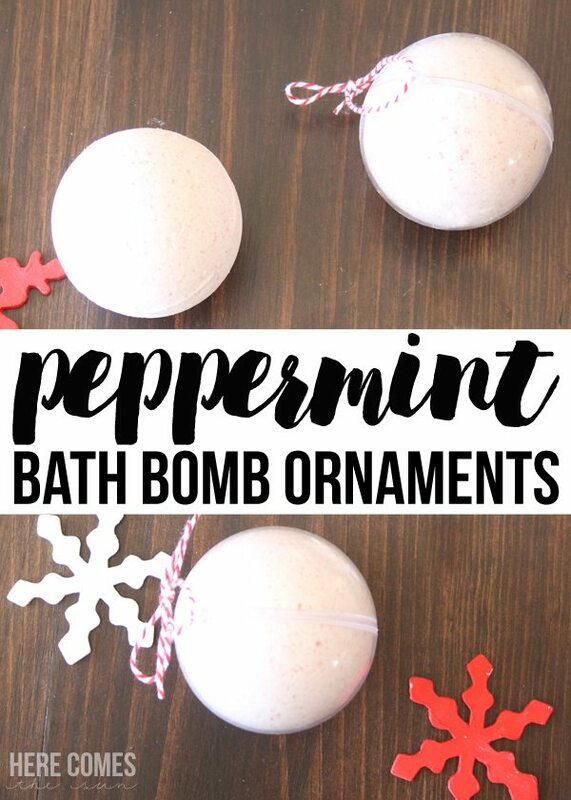 This year, I decided to continue with the theme of pampering and make some peppermint bath bomb ornaments as gifts. In addition to the ingredients, you’ll also need ornament molds, baker’s twine and cellophane bags. All of the ingredients (excpet for the essential oil) should be able to be purchased at a grocery store. If you are unable to find coconut oil at your grocery store, you can purchase it here. If you do not have peppermint essential oil, you can purchase it here. These are the perfect gift for teachers, friends and neighbors. They are very inexpensive and easy to make. And they smell oh so wonderful. You can either keep them in the ornament mold (which is what I recommend) or you can remove them from the mold and place in a cellophane bag. These bath bombs may be fragile so be aware that they may break in the bag. If you are shipping these gifts, definitely keep them in the mold. 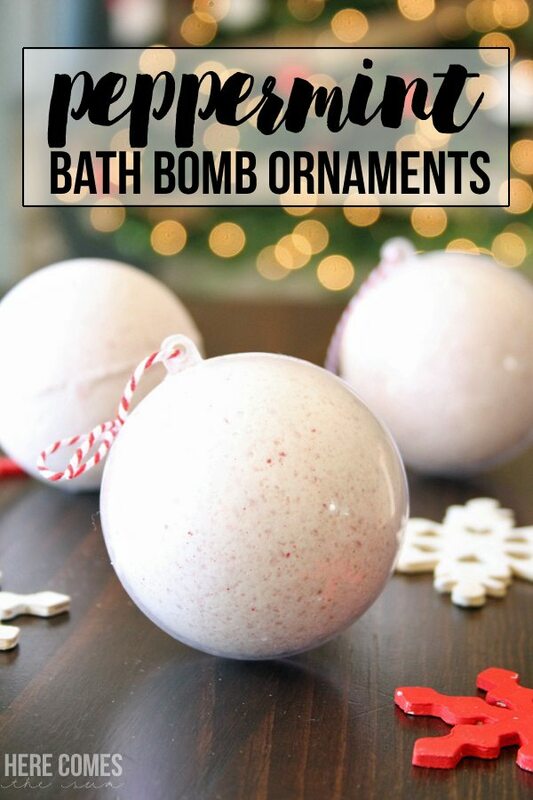 These peppermint bath bomb ornaments would be a great addition to a peppermint themed spa gift set. 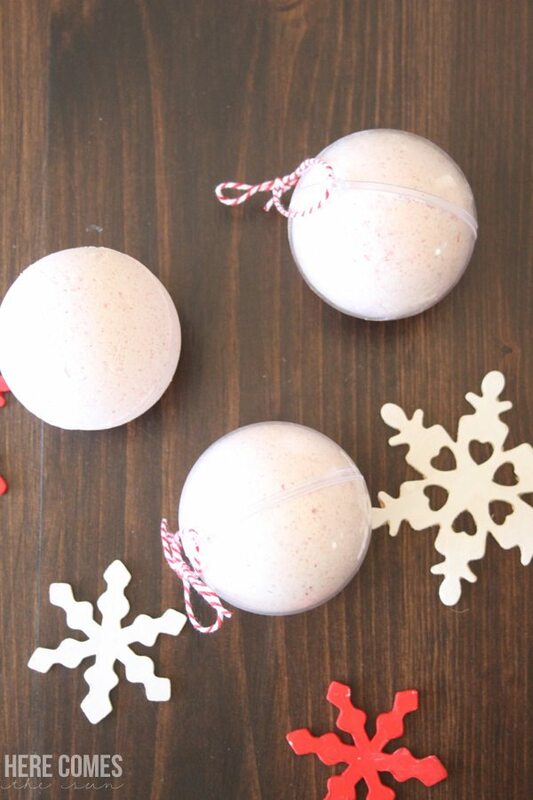 These peppermint bath bombs are made with essential oils. 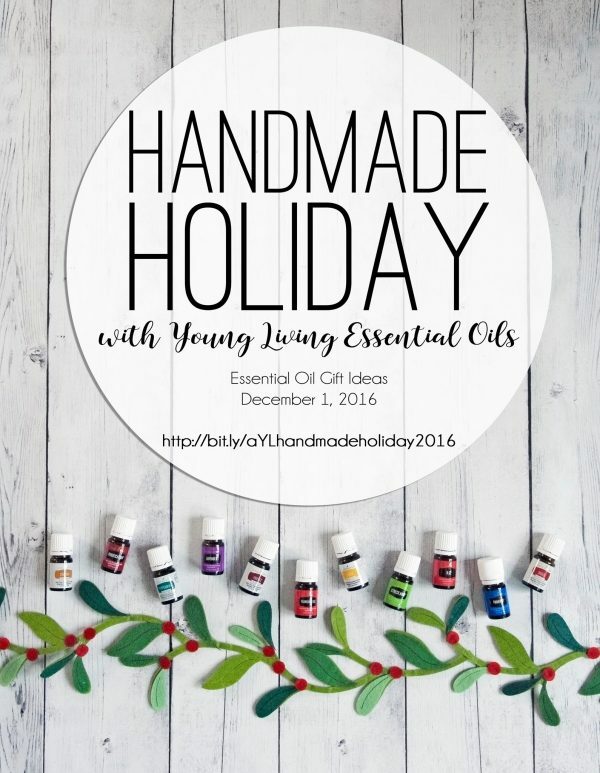 If you’d like information on how to purchase essential oils, this post contains everything you need to know. 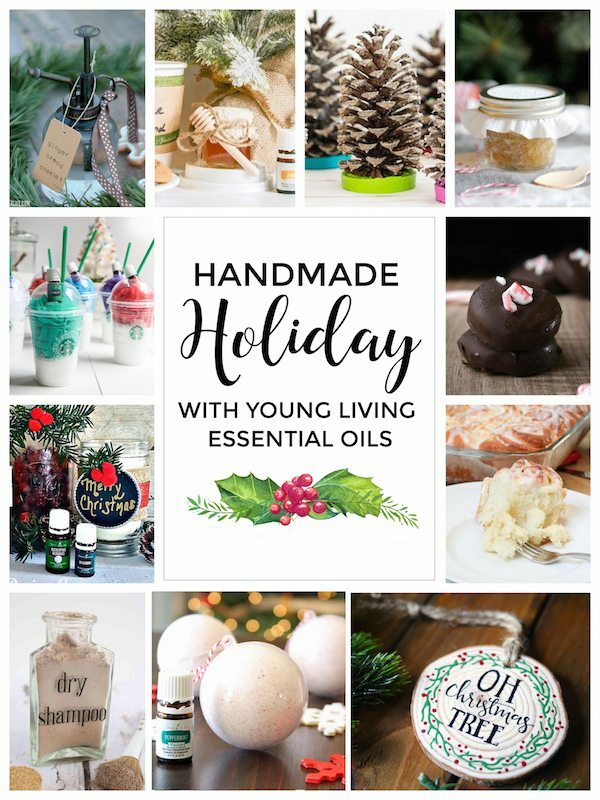 I’ve teamed up with some of my blogging friends to bring you more essential oil gift ideas. Be sure to check out all the ideas below. These peppermint bath bombs are part of a party that I am hosting tonight all about DIY gifts made from essential oils. The party is happening over on FB tonight at 9 pm and you can find out all about it and RSVP here. I hope you join us! It’s going to be so much fun! Kelly, These are so cute! I tried a recipe with citric acid and they kept poofing up. so hard. but i’m excited to try this recipe! How many ornaments does this recipe make ? Do the bath bombs dry alright left in the molds? Yes, you can leave them in the molds to dry.